← Do Love to Search for your Irish Ancestors? Barbara with the 5-year volunteers. Cicily Mahoney, Terry Davin, Stacey Hodges, Coleen O’Gorman, David Kite, Max Breeze & Amy Fitzgerald. 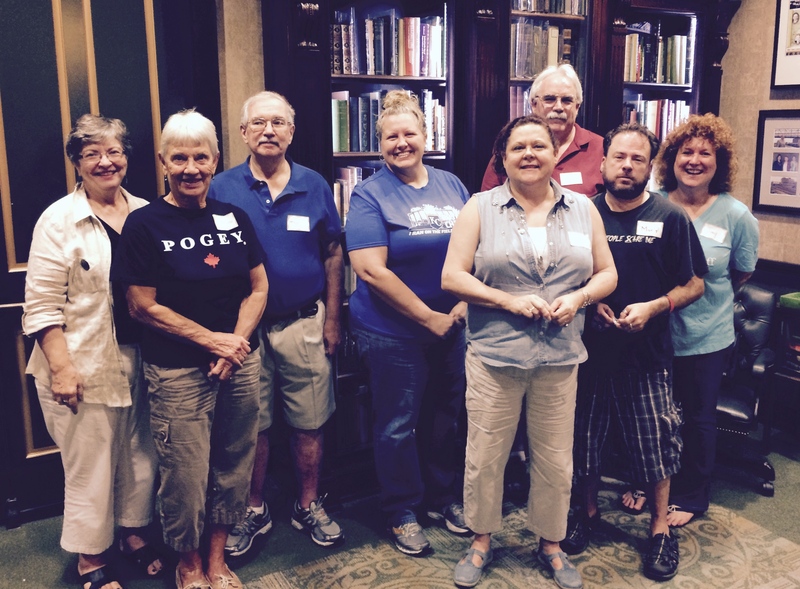 We honored some of our fantastic KCIF Genealogy Volunteers. We couldn’t do it without them! These are the 5-year veterans for our festival. We also now have 3-10 year volunteers, Collette Kiszka, Don Kiszka and Cheri Piersee. Most of our volunteers sign-up for multiple shifts over the weekend. They have so much fun helping find Irish ancestors for people. 2015 is our 13th year. With over 30 bands on seven stages, heritage workshops and displays, comedy, genealogy, a massive children’s area and so much more, there is no better way to celebrate Celtic Pride in Cowtown! The Genealogy area is located in the air-conditioned Crown Center Atrium, genealogy staff will be available on Friday from 5:00 p.m. – 7:00 p.m., and on Saturday and Sunday from 11:00 a.m. – 7:00 p.m. This is the 'before' picture is the genealogy area of the @kcirishfest we love our area! Working on Kansas City Irish Fest 2015!Looking for a few more volunteers who know how to use the computer to search for ancestors! Labor Day weekend. This work by Barbara Scanlon is licensed under a Creative Commons Attribution-NonCommercial-NoDerivatives 4.0 International License.